Calling antelope is a new concept for hunting. It has been used in two Eastman Outdoor World videos, 'HUNTING TROPHY ANTELOPE' and the instructional video 'HOW TO TALK TO THE ANTELOPE'. Antelope make a variety of sounds. The two most important are the common language sound and the challenge sound. 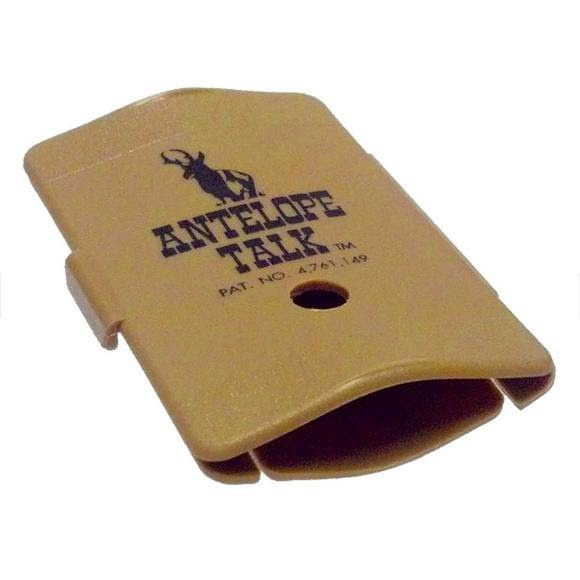 Both sounds can be reproduced with the 'ANTELOPE TALK' call. Calling antelope is a new concept for hunting. It has been used in two Eastman Outdoor World videos, &apos;HUNTING TROPHY ANTELOPE&apos; and the instructional video &apos;HOW TO TALK TO THE ANTELOPE&apos;. Antelope make a variety of sounds. The two most important are the common language sound and the challenge sound. Both sounds can be reproduced with the &apos;ANTELOPE TALK&apos; call. Whether you want them in close or just trying to stop them. The call will work!